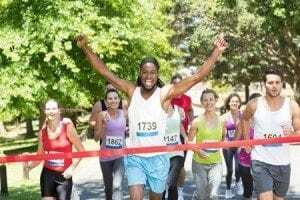 From directing people to the event, where to park, where to sign up, starting line, mile markers, restrooms, lost and found, food and refreshments, to the ultimate winners circle, marathon signage has many purposes. When designing signs that will be placed along the route of your marathon or half marathon, you want them to be easy to read. Simple signs will quickly alert runners to changes in direction and will help local traffic to notice crosswalks and other areas being used by the marathon. 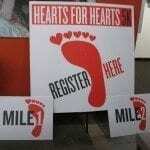 Create mile marker signs, registration signs and signs to mark the beginning and end of the race. Choose a brightly colored sign to highlight your marathon route. Red, Orange and Yellow are great for catching the eye and will keep your runners on track and safe from oncoming traffic. Be sure the text is easily readable and contrasts with the background color. We recommend using white text over a red background and black text over a white background. Keep the font simple and avoid cursive lettering. The message should also be short and to the point. Be sure to discuss how traffic can be blocked for the event. Will police officers be available to assist in blocking the roads, or will your staff be assigned the task? Letting drivers and people know there is a race in progress will help to eliminate congestion. Think about the route and how many signs you will need so you don’t find out too late that you need a few more. 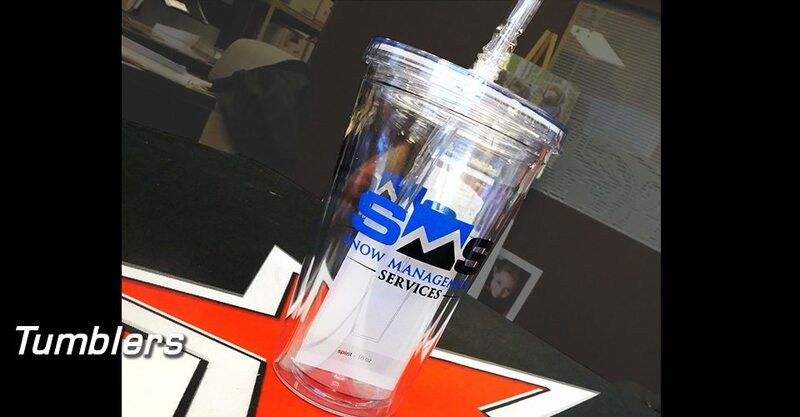 Keep your event memorable afterwards, with promotional items for giveaways. 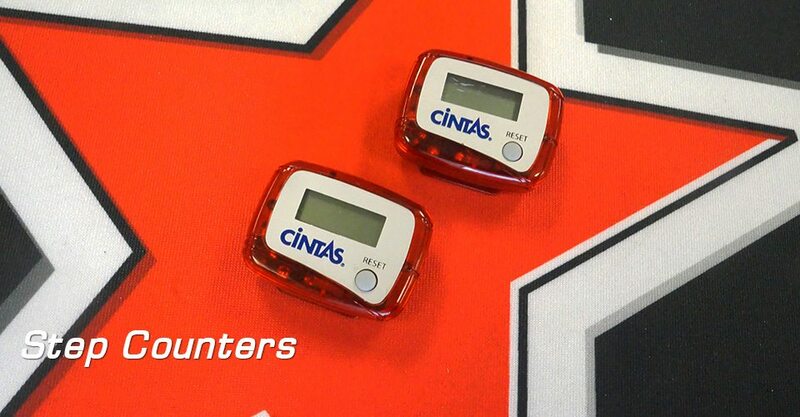 Key chains, water bottles, tote bags, and step counters, with your event’s logo and date. 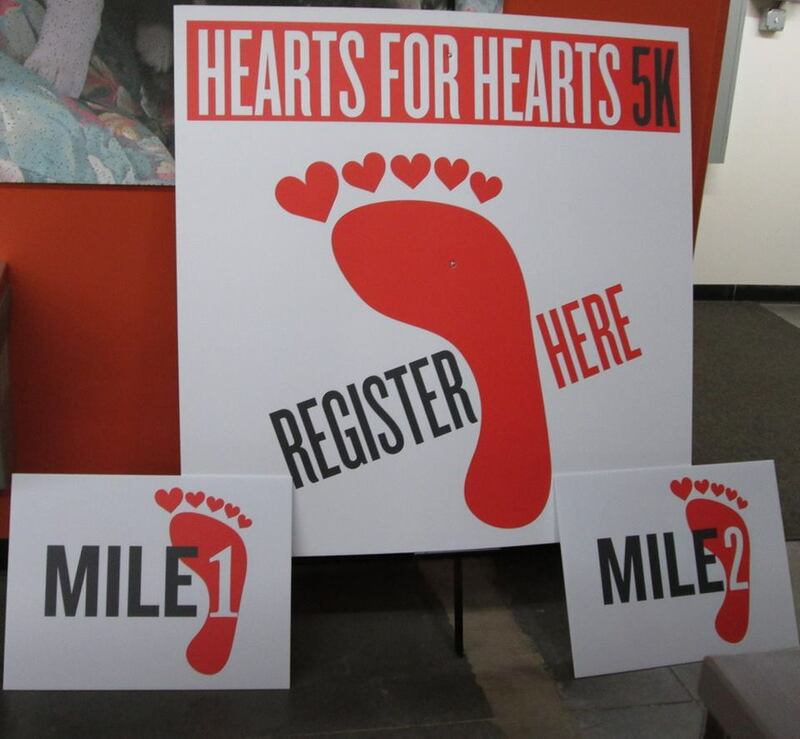 When creating signs for your marathon, some great choices are yard signs, sidewalk signs and construction or safety signs. 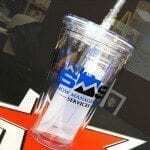 Check out our promotional website for great ideas. 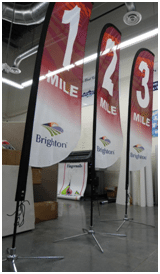 For more information on signage and how we can create the right signs for your event, contact Signarama online or at 303-914-9700. I wonder if the city actually makes the mile marker signs as official traffic redirection. It would make sense to me that the city would be in charge of it since marathons are public events. 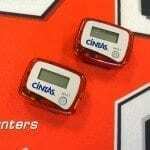 If I ever run a marathon I’ll have to keep my eye out for those mile marker signs.